The Henn-na (Strange) Hotel in Japan opened its doors in 2015. However, it’s robots just couldn’t seem to keep up with the times. It looks like even robots aren’t immune from being fired. According to a report by the Wall Street Journal, Japan’s robot hotel, the Henn na (Strange) Hotel has ‘fired’ over half of its 243 robots. Apparently, the robots created more work rather than reduced it. The hotel opened its doors back in 2015, and since then, some of its robots simply became outdated and couldn’t seem to keep up with other digital assistants like Alexa or Siri. One of the robots in use, named Churi, was able to answer simple conversations and do things like room heating. But complicated questions such as asking about the opening hours of a nearby hotel was beyond its capabilities. Similarly, the hotel’s main concierge was ‘fired’ because it could not answer complicated questions such as flight schedules and tourist attractions in other cities. Another problem with the Churi robot was that it tended to activate in the middle of the night, after mistaking the guests’ snoring for a command. 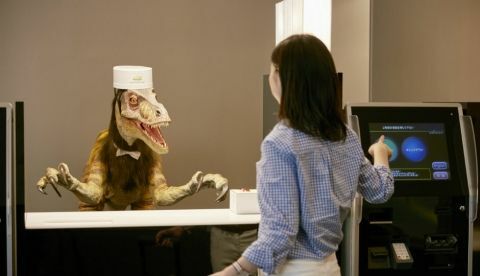 The hotel’s general manager, Takeyoshi Oye noted that the hotel thought about upgrading some of the robots, but potentially high cost of frequent replacements has to be considered. The Wall Street Journal’s report notes that newer branches of the hotel are sticking to robots that have are proven to be useful. However, Hideo Sawada, President of the travel company that owns the hotel says that they have not given up on the idea of a hotel without human staff, but Henn na Hotel has taught him that there are many jobs that are suited only for humans, at least for now anyway. best over ear headphone under 5k? How to increase the number of followers and followups on twitter beyond its limit ?? ?